This question is usually asked by U.S. citizens, do U.S. citizens need a visa to visit the UK? Or what are the UK visa requirements for a U.S. citizen? Some people even ask if a U.S. citizen can travel to the UK without a visa. None of this questions is out of place so do not term yourself as absurd if they have gone through your mind at some point or the other. As a legal permanent resident of the United States of America, a U.S citizen or a green card holder, you do not need a visa to travel to the United Kingdom IF you are planning to travel to the UK for a short visit for up to 6 months for either business or tourism purposes. However, U.S citizens are required to apply for and obtain other categories of visa if their purpose for the UK visa and duration of stay in the UK is not accommodated in the visa wavier. If you are traveling to the UK as a tourist, you do not need a visa for stay up to 6 months. However, your U.S passport must be valid beyond the number of days, weeks or months you intend to stay in the UK. You must also have your flight ticket for return or in transit to another country. If you are traveling to the UK on business / official / diplomatic purposes, you don’t also need a visa if you are not staying beyond 6 months. Same rule applies to passport validity ad flight tickets. Now these conditions only apply to U.S citizens and legal permanent residents only. 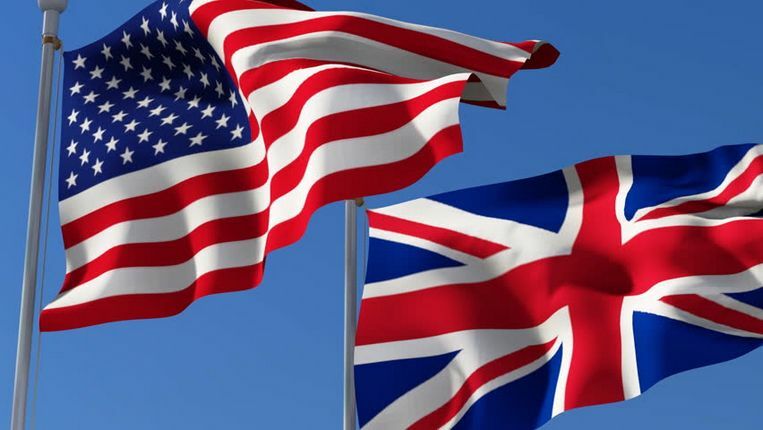 All temporary U.S residents may be required to apply for a visa to travel to the UK depending on their original country of citizenship and the reason for travel. It is also not rare to see people get confused in differentiating between a U.S. citizen and a U.S. green card holder. Truth be told there is a very thin line which separates both, it takes one who has gained knowledge about them to be able to identify the differences. Before we get to the crux of this article which is stating whether a U.S. citizen needs a visa and describing the kinds of visas available and the process involved in application, we must first understand who a U.S. citizen is. Join me let’s go through this read together, it promises to be exciting and educative. This question arises very often, who is a U.S. citizen? Well here it is, a U.S. citizen is simply a person not naturally born as American but has attained citizenship status after fulfilling certain laid down requirements. Citizenship is the highest possible status that can be obtained by an immigrant in the United States. Been born in the United States or any of the territories belonging to the U.S.
Been born to parents who are American citizens, even if you were born anywhere else in the world. Submitted an application for derived or acquired citizenship status through your parents. Submit an application for naturalization. You can also attain citizenship by applying to join the United States army. When you are drafted then following certain processes you may attain citizenship of the U.S. The step to become a U.S. citizen is one that is very important and delicate at the same time. Asides the numerous benefits that come with being a U.S. citizen, there are also responsibilities that are saddled on your shoulders. You must be ready to abide by every rule in the U.S. constitution and be completely loyal to the United States and her government. Only when this is done will you begin to enjoy the full bloom of the benefits and privileges that accrue to U.S. citizenship. Be a part of the democratic process. Uphold and defend the U.S. constitution against any enemies, both foreign and local. The individual gets consular protection anywhere outside the U.S.
Ability to sponsor relatives living outside the country to visit the U.S.
Citizens are protected from deportation. Citizens have the ability to invest in U.S. property without the scare of triggering the FIRPTA. Transmission of citizenship to children born after the status is achieved regardless of the location of their birth. This section is an answer to the question, do U.S. citizens need to get a visa before visiting the UK? The truth about this matter is that almost every country in the world requires you to have some sort of permission to cross into her borders. That permission is known as a visa and it is appended on the individual’s international passport. About whether U.S. citizens need a visa to enter the UK, it is a yes and no answer. U.S. citizens have a visa waiver to the United Kingdom if their visit does not last more than 6 months. This means that as long as they do not stay more than 180 days straight in the United Kingdom they really do not need a visa. As we know there are several reasons why the United Kingdom is one of the choicest places to visit in the world. If the U.S. citizen will be staying beyond 180 days or 6 months, then it is required that the individual submits an application for a visa which must be approved before the journey. Usually the visa application process is quite straightforward and easy for U.S. citizens unlike citizens of other countries. Worthy of note however is the fact depending on the reason for the application, certain conditions must be met and documents provided. Visas are usually issued by countries based on the reasons for travel by the applicant. To this effect there are different kinds of visas available to applicants. The United Kingdom has several kinds of visas that can be applied for by U.S. citizens, let us take a brief look at the array of visas. Visitor visa. This visa is issued to any individual who is visiting the UK for a few days to a few months. People who apply for this kind of visa more are tourists and people going on holidays. 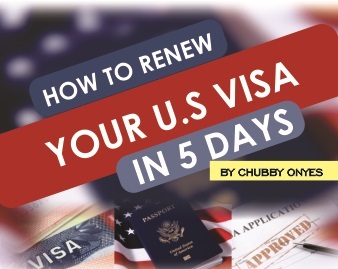 If the stay is less than 6 months, the U.S. citizen is not required to apply for it. Of course this means the individual has all of his/her identification documents complete. Study visa. Since the study visa is usually issued for the period of study and a few extra days, it is most likely that the U.S. citizen will need to apply for this. This is because there is every likelihood the study period will exceed 6 months. Although there are study visas for as short as 30 days to 3 months, the U.S. citizen does not need to apply for this. Business Visitor visa. This is provided to individuals who plan to do business in the United Kingdom. To get this the individual must possess a valid international passport and other identifying documents. A U.S. citizen does not need to apply for this visa. Settlement visa. This visa is issued to any individual who is planning to settle in the UK and make the UK home. To do this the individual must have a UK citizen as a relative and this must be shown with relevant documents like marriage or birth certificates. Transit visa. This is issued to individuals passing the through the United Kingdom to their primary destination. Usually U.S. citizens do no need this visa, since they definitely will not be staying more than 6 months in transit. Asides the regular documents that are to be presented when applying for a visa, you might to present extra documents depending on the kind of visa you are applying for. Below is a summary of the different documents you will need to provide for different visa applications. A proof of job offer in the UK that cannot be filled by a UK citizen or any of the EU workforce. A letter of sponsorship from your employer or regional administrator of the company. It is important that the individual appending the sponsorship letter possesses a valid Tier 2 license. Letters from parents or legal guardians (if the individual is less than 18 years old). A certificate showing criminal records. A confirmation letter provided by the sponsor (that is the academic institution accepting the student on admission). A valid Academic Technology Approval Scheme (ATAS) Clearance Certificate issued by the Foreign and the Commonwealth Office, the Department of the Counter-Proliferation Department. Documents showing connection or family ties to the United Kingdom. Documents showing that accommodation has been sorted out. Documents to show the possession of property in the UK, the land registry document. Documents showing that most of the individual’s life was spent in the UK. Documents showing strong reasons why the individual was out of the UK for such a long period of time. Documents confirming when the individual left the UK. This is the important part of getting a visa because after gaining understanding on the kind of visa to be applied for you must then take steps to apply before you can visit the UK. How can a U.S. citizen apply for a UK visa in the U.S.? This question will be answered in this section. Fill and submit the online form. It is required that you visit the online platform created for visa application and fill the required forms. When filling the forms you are required to fill in the correct particulars. The form must be filled honestly and with all carefulness. Any disparity in the information on the forms and those on the submitted documents will lead to the visa application being declined. You should also ensure that the visa fees are duly paid. Get a list of required documents from the UK embassy. After completing your biometric process you are required to get the list of documents peculiar to the kind of visa you are applying for from the Embassy. These documents will help support in clear terms your reasons for visiting the UK. Send your visa application to the Embassy for approval. Before posting your application via mail ensure that your international passport has a validity period of at least 6 months. It should also have a least a page that can be appended at the embassy. When sending the application via mail add a prepaid electronic shipping label addressed to you so you can receive the approval to the same address. You will always hear people ask the question, how much are the UK visa fees? well in answer to this, there is no specific fee, each visa has its own prescribed fees. To know the fees for the visa you plan to apply for click here. I believe with the above information applying for a UK visa as a U.S. citizen will be way easier. Good luck.